Claude Robbins has over 30 years of experience teaching wine at the University level, propelled by his Guild Wine Master (GWM) and Guild Master Wine Educator (MWE) certifications. He has developed more than 500 wine dinners, is the director and former partner of Station Imports, a wine importing company specializing in New Zealand Wines, and a founding partner of Total Beverage, one of the largest liquor stores in Colorado. He has served as a board member for the American Culinary Federation, Les Amis d'Escoffier, and the Denver chapter of Confrerie de la Chaine des Rotisseurs, the oldest organization to promote gastronomy and the culinary arts in the world. Claude has been a staff writer for Colorado Vine magazine and a freelance wine writer as well as the wine and food critic for D'zine and InSite and other trade publications. Additionally, he was host of "the wine guy" on ESPN Radio in Denver, Colorado. The show was heard weekly in eight states and was the most popular non-sports program on ESPN in the Western US. He has worked as a wine consultant with restaurants, retailers and individuals, including evaluating rare wines for sale or auction, and worked with importers and wholesalers to expand their product lines. He has trained the white house staff on proper wine and food service for state dinners. 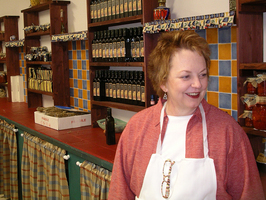 Sherrie is one of the founding partners of the International Wine Guild. She has developed all the menus for the Guild's food and wine courses. Leading up to her current position with the Guild she was Executive Chef at the Greenwood Athletic Club and FBC Foods, which was a concept like Whole Foods. She is an Executive Chef of Wine Arts and Education Team Leader with the Guild. Sherrie is also one of the co-owners of Corks and Forks Consulting, a food and wine consulting firm where she helps develop and test menu's for restaurants and wine bars. She has served on the Executive Board of the American Culinary Federation in Colorado and has been a member of Les Dames d’Escoffier and Confrerie de la Chaine des Rotisseurs. When she has time she enjoys encaustic painting and being with her family and friends. Nicole works for Southern Wine & Spirits of Colorado in the Atlantic Division. She has been a top-performing sales representative at Southern for 8 years. So far, in her 8 year tenure, she has won sales-rep of the year for two different divisions (one wine division and one liquor division). She has also managed to win the top honor of overall sales-representative of the year for the entire company. A tremendous feat and well-deserved accomplishment! She is always happy to assist and answer any questions about the Beverage Distribution Industry and what it takes to get started or succeed in the field. Currently at IWG, Nicole sits on the Board of Directors and is the Chef de Cuisine for the Level I Guild Certification Course. She works with other members of the culinary team to provide tasty creations for breakfast, lunch and the Organoleptic tasting on day 2. She has been working for the International Wine Guild for 13 years and has held many different positions with the company. The back of the house position is currently her new passion and is a nice change of pace from her day job. During her free time, Nicole likes to un-wind on her yoga mat, camp in the mountains, or hang-out with her English Mastiff, Magoo, a 150 lb slobbery gentle giant, who can often be seen at his favorite hang-out spot…Little Man Ice Cream in the Lo-Hi Neighborhood. Daniel Kelada is a Certified Wine Instructor, Executive Sommelier and is in charge of business development for the International Wine Guild. In addition Daniel is the Owner of GUSTO Tastings, which is an avenue to feed your passion for all wine via education, consulting, events and luxury wine travel. GUSTO events are centered around creating an experience around fine wines, spirits and cigars. The goal is to create an experience that you become a part of. An experience that is indulgent, exclusive and something only GUSTO can bring you. GUSTO is also an outlet to find unbiased consulting expertise; whether for corporate event planning, fund-raising, staff training, cellar management, and/or promotions and marketing of your business they have the expertise and dedication to make a lasting impression. In addition, GUSTO Wine Travel offers luxury and boutique wine tours to France and Italy. Wine is about discovery and enchantment; and once you see it, first-hand, the history, the tradition and the passion in a European wine-producing region; you will from that point on, be forever Hooked. With that simple thought in mind, they have set out to create fun, informative and exclusive wine travel opportunities to share with others. Nicolas Post is the owner of Wines and Cellar Designs LLC, a consultation firm established for the purposes of providing educational guidance and services for the wine and fine spirits industry, public and private. As a consultant Nicolas has worked as a distributor for a small fine wines company, established the wines and spirits for newly opened restaurants, professionally planned and paired wine dinners for 4-100 people events, and written a 222 page wine information book for a private wine cellar. He provides Sommelier services and wine tastings for many organizations, and is a continuing Senior Wine Instructor and Masters Candidate at the International Wine Guild. 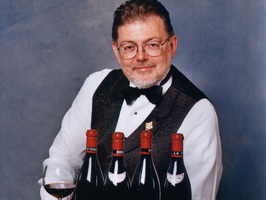 He is the Northern Colorado Area Manager for Wine Cellars and Storage of Colorado(W.C.S.C. )- a company that designs and builds custom wine cellars, rooms, and shops. W.C.S.C. has been locally owned since 1995. Nicolas’s Professional wine career started after the return from a 5 year over seas tour with the United States Army in 2006. From 2001 to 2006, Nicolas was assigned to Battle Company, 2-503rd, 173rd Airborne Infantry Brigade. Nicolas, with the 173rd went on 3 frontline combat tours during this time. A tour in Kosavo 2002, a tour in Iraq 2003-2004, (Combat Jump), and a tour in Afghanistan 2005-2006. The 173rd's home base is in Vicenza Italy. During Nicolas’s combat tours he received many medals and awards, among these, his highest citation is the Bronze Star with Combat Valor. Nicolas also has the honor of having been the Team-leader (Sergeant), of the first living recipient since the Vietnam War to receive the Medal of Honor, Salvatore Giunta. Over the 5 years he was stationed in Italy, Nicolas traveled to over 40 different countries which greatly contributed to his appreciation for wine, and sparked his desire to understand its influences to our cultures. He started taking professional wine classes through the International Wine Guild in 2008 and has successfully received Diplomas in 24, 12 week long programs. Nicolas will be completing his education through the International Wine Guild in 2012 with an anticipated graduating degree as a Master Wine Educator. Nicolas married Meredith Post in June of 2002, they are the proud parents of two girls, Myleina Post born July 2008, and Alsacia Post born September 2009. His priorities are enjoying his family and friends, continuing a life time of wine education, and traveling the world. Wine is a passion, and having a career in an area he is passionate about is a dream come true. After taking the Level 1 Certification class, Matthew had his eyes opened to the world of wine and all the possibilities of a growing industry. Now, he not only teaches but also works in the wine industry as a buyer. This, coupled with experiences in retail wine stores, wholesale and wine making, allows him to bring the current state of the wine industry into the classroom. Outside of teaching, he spends any spare time reading, cooking and relaxing. Mark grew up in Sonoma County, California; one of the “Big Three” wine producing areas in Northern California. The experience of living in the wine country for many years helped him appreciate the role that wine played in making the special occasions in his life even more spectacular. He decided that sharing the joyful experience of wine with others was a way to continue his own education about wine, as well as, help make a positive difference in the quality of life for others. In 2005 he started his own wine education company in Colorado Springs, Colorado called “Experience Wine”. From 2005 to 2009, his company was the only dedicated wine education company in operation in the ‘Springs and he received local media acclaim. Mark coordinated Level one Sommelier Certification Seminars in the ‘Springs with the Guild to help his public course students expand their level of knowledge or help some of them transition into the wine industry. Mark has since relocated his business to Denver where he continues to offer private education events, while also expanding his affiliation with the International Wine Guild. Mark is now an Executive Wine Sommelier and Certified Wine Instructor with the Guild. He loves to teach new people about wine and he continues to utilize his wine industry contacts in Northern California to bring the most to his students here in Colorado.